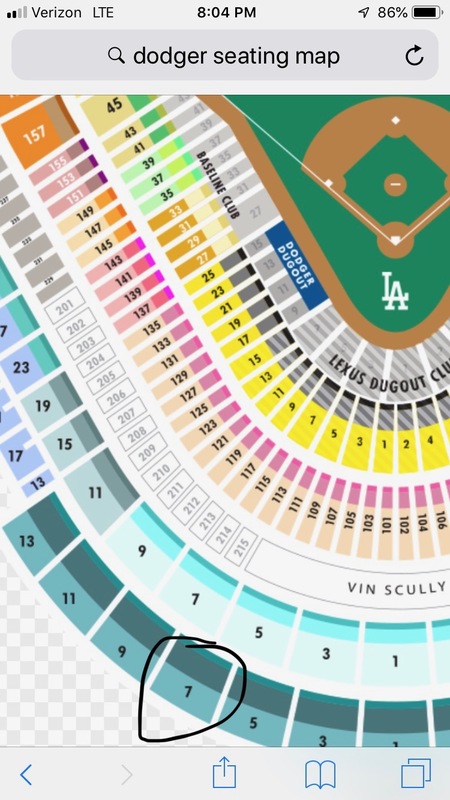 He then sent me a picture of where we would be sitting – very far from homeplate – and I just as quickly texted back that being there is what matters most. I was so eager to respond and lock down a free ticket to a playoff game, that I didn’t even realize that I had said “yes” to Clayton Kershaw. 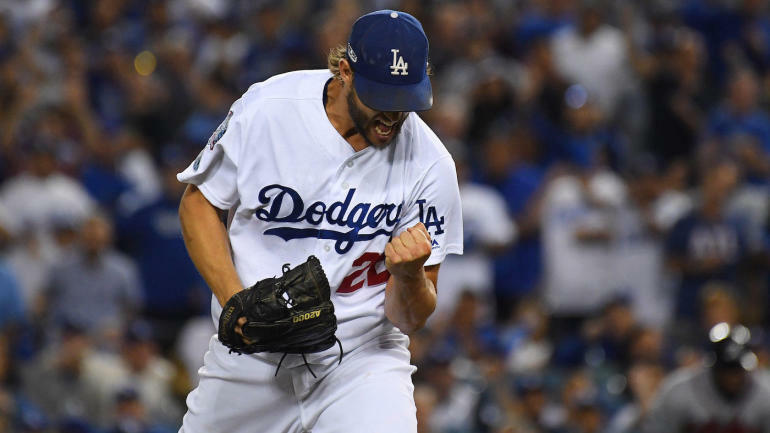 In an incredibly unusual move – a move that had not happened since Kershaw’s 21-year old season in 2009 – the Dodgers started the post-season with a pitcher who did not wear #22 on his back. The team decided it was best to give Kersh an extra day’s rest, which allowed him to be ready for Game 5 if necessary, and started Hyun-Jin Ryu in Game 1. It worked out perfectly, as Ryu threw seven innings of four-hit ball, allowing no runs in a dominant appearance. Kershaw, as always, was diplomatic about the team’s decision. When asked if he agreed with the rotation choice, he offered a lengthy pause, and then said: “They had their reasons and I accepted them.” When asked if it was a gut punch not to be on the mound for Game 1, the fiery Texan said: “I don’t really think of it like that. I think: I get to pitch in another playoff series for the sixth year in a row. I’m looking forward to it.” This guy is a pro, and has done this long enough to know what to say and when. He must have decided, in that moment, to let his arm do the talking. At 6:37pm on Friday night, Clayton Edward Kershaw walked out of the dugout, across the grass to, in the words of Vin Scully, “the mound at Dodger Stadium…the loneliest place in the world.” History was both Kershaw’s friend and enemy, the playoffs – not the Braves – his greatest nemesis. Kershaw’s first pitch of the beautiful and cool Los Angeles evening was a 92-MPH fastball that Ronald Acuña Jr. promptly smacked to the wall in left center for a leadoff double. You could feel the tension in the air. Would this, could this, be another playoff disaster for the Hall of Fame-bound lefty? In a word, no; no it would not. After giving up that leadoff double, Kershaw was masterful. He retired the next 14 batters before an infield single broke the streak. Being a baseball nerd, I watched and calculated his pitch count each inning: 29 through three and 39 after four; 55 through five and 60 after eighteen outs; 73 heading to the stretch, and just 85 when eight innings were in the books. When the Dodgers came to bat in the bottom of the 8th, I felt certain that we were about to see a playoff version of a “Maddux”: a complete game shutout with less than 100 pitches. To paraphrase the great Tim Kurkjian, that is something I have never seen before. There were 54,452 of us sitting on the edge of our seats when Kershaw climbed the stairs of the Dodger dugout and jogged out to pitch the ninth. We were about to witness history. Alas, it was not meant to be. Kershaw took the mound to warm up as a diversion, a ploy, a chess move in the mental game between managers. If the Braves allowed left-hand hitting Lucas Duda to lead off the ninth, Kershaw would have pitched to him. If Braves manager Brian Snitker, seeing the gangly lefty on the hill, announced a right-hand hitting pinch hitter (in this case, Tyler Flowers), Roberts would pull Kershaw in favor of Kenley Jansen. Of course, sitting in the upper reaches of the ballpark, we had no idea what was going on. We were just wholly disappointed (a) to watch Kershaw abdicate his thrown and (b) to see him to do so for the gas can that is the current incarnation of the Dodgers’ closer. True to form, Jansen gave up a hard hit to the second batter he faced. After a pop out, Jansen ran the count to 3-2 to the dangerous Freddie Freeman. A fastball off the corner would have brought the tying run to the plate, and potentially put Kershaw’s gem in peril. But Kershaw – and by extension, Jansen – was not to be denied. Freeman swung through a 93-MPH cutter, and the Dodgers had a 2-0 series lead. I have been to a lot of baseball games, and I have seen a lot of gamesmanship. But I have never seen a manager send the face of the franchise, throwing one of the games of his life, to warm up on the mound just to compel the other team to make a move. Love or hate Dave Roberts, and many people do, this was pure genius. As we learned later, he got Kershaw’s blessing before executing the plan – the manager and the player were on the same page. Kershaw could have pulled rank – he could have gone all Matt Harvey and essentially refused to give up the ball; he could have said to Roberts: “One day there will be a statue of me outside this stadium and a bust of me in upstate New York, I have been dominant for eight innings and have thrown only 85 pitches; I went along with your cockamamie idea and allowed Ryu to start Game 1, but if you want this baseball, you have to pry it out of my meaty left hand.” And you know what, he would have been totally justified in saying so. But he didn’t. He put team ahead of self; he put winning ahead of personal accomplishments; he was, quite simply, a pure pro. Kershaw left the mound to a standing ovation and an anxious crowd. Jansen didn’t let him down, he didn’t let any of us down. Walking out of the park last night I remained sad that we didn’t get to see Kershaw pitch a Maddux on a massive stage. But that is what separates fans from superstars. Michael Jordan passed up the shot, twice, giving the ball to Jim Paxson and Steve Kerr, because he knew it was about winning championships, not accolades. Kershaw didn’t care that I couldn’t boast about what I had seen; he cared that his team gets to the next round, and then the ultimate round, again.